Yes! Even though the situation has changed with more galleries and museums which encourage young photographers to exhibit their works and to become more aware of how to install their works on the wall, it is still clear that the photobook is the most important medium for most Japanese photographers. Many photographers consider the book as being the final format of their projects. There are several reasons for this. The main reason is that books and magazines have been central to the photography scene for decades while the market was and is still very weak in Japan. If photographers wanted to show their works, they had no other means than to publish them in the magazines or in book form. 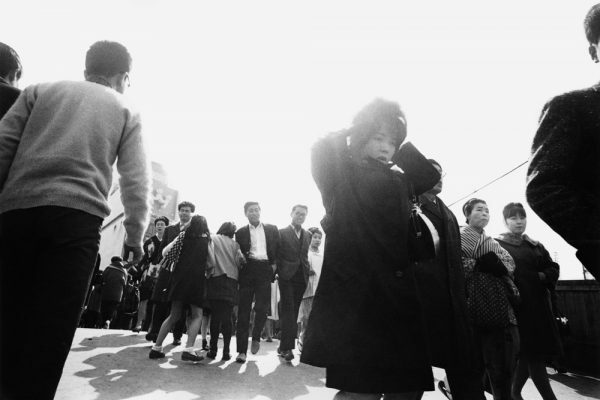 In this situation, many Japanese photographers naturally became keen on the reproductive nature of photography. The downside of the precedence of photobooks is that most artists have to publish them at their own expense. And also, historically speaking, in the Edo Era (1603 to 1868) woodblock prints of Ukiyo-e were highly popular with the public. This might not be related directly to photobooks, but there seems to be some historical parallel with the popularity of photo books in Japan. As you said, the number of galleries has increased and a quick look at the art guide Tokyo Art Beat confirms this; it lists 101 photography exhibitions open today, that’s a remarkable number. But why do galleries in Japan still only of minor importance in the career of a Japanese photographer? It is true, that it’s not normal for most Japanese photographers to start their career with gallery exhibitions. There are many talented photographers who are not represented by a gallery in Japan. The main reason is that Japan has its own peculiar gallery system. There are many galleries, but most of them are rental galleries; they are rented by artists to show their works and do not work continuously with artists. There are company-managed galleries such as Nikon Salon or Canon Salon which are non-commercial galleries open to both professional and amateur photographers, and while the number of commercial galleries which operate similarly to European or American galleries is increasing they are still not yet dominant in Japan. You could please name some very recent photography books you find interesting? Masafumi Sanai recently started his own label Taisho (Contrast) and he publishes what he really wants to show in his own way. 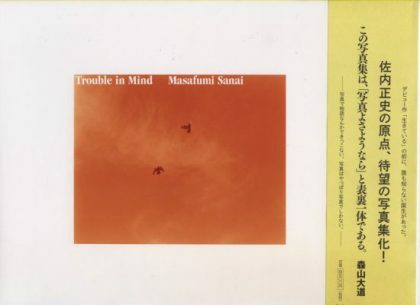 This summer he published Trouble In Mind. 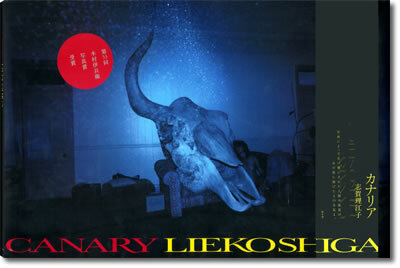 Other must-see books are for example Canary by Lieko Shiga and I am by Atsushi Okada. As a guest curator for the Paris Photo fair, I find it very important to have introduced these and other photographers outside Japan. 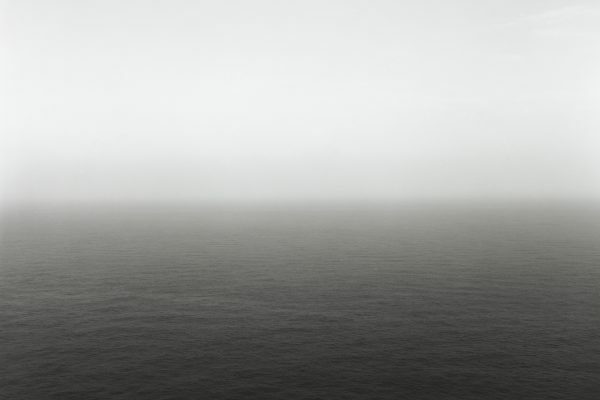 Since many of the photographers are not represented by galleries and since the book is their main medium, we invited five Japanese publishers for the central exhibition at Paris Photo to present their programme. 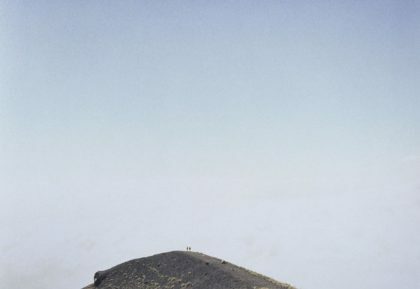 How does a young unknown photographer find a book publisher? Many photographers send their photographs to magazines. They show their works to small publishers, such as Sokyusha or Akaaka, though it isn’t easy to find a publisher nor for the publishers to finance a book. 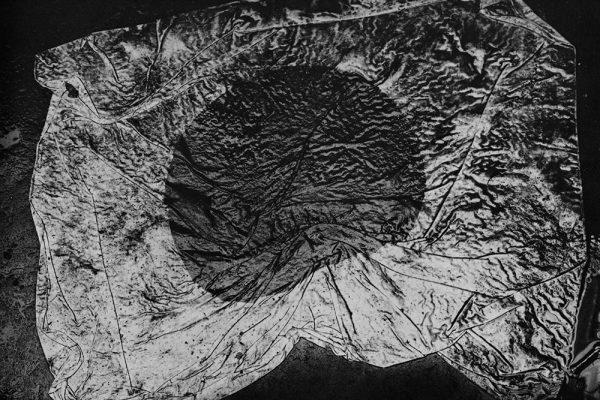 Do awards like Hitotsuboten (“3.3 sqm”, the size of the space given to each photographer at the award exhibition) and New Cosmos of Photography promote the career of a Japanese photographer? Yes, since the early 90s these two awards for young photographers have become important in the photography scene in Japan. On the basis of the social, cultural, technical and institutional background as we have talked discussed, young people find these awards exciting and many young people enter the competitions. Winning an award does not guarantee success in a country with such a small art market. 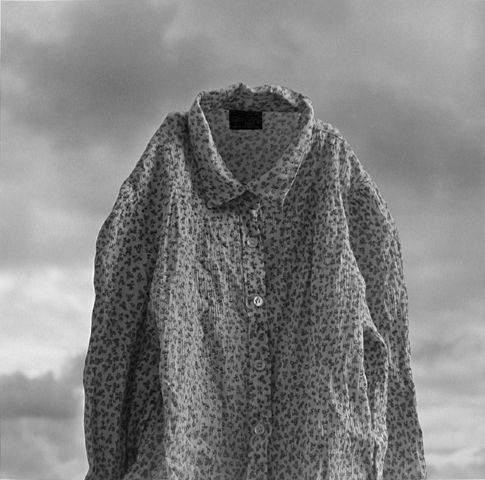 Actually, I have seen many young photographers who have won the prize who did not succeed afterwards, but there have been some very successful photographers who achieved recognition through these awards such as Yuki Onodera, Rika Noguchi and Tomoko Sawada. These awards are important for another reason. Since the early 1990s, they have provided a space where the young generation can see works by their peers and where they can communicate with each other. 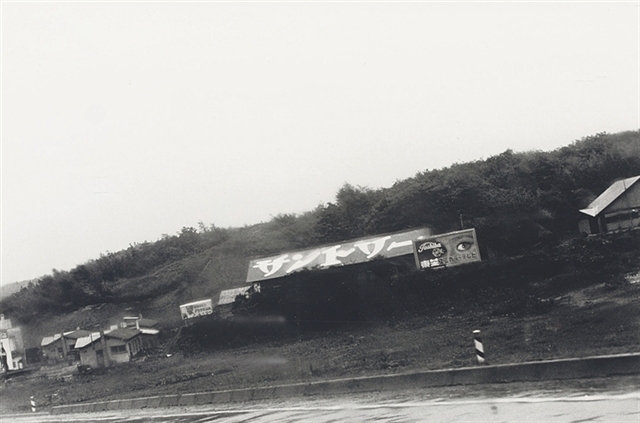 Hitotsuboten, for example, throws the final selection meeting open to the public, with artists’ presentations and discussion among judges in front of the audience. 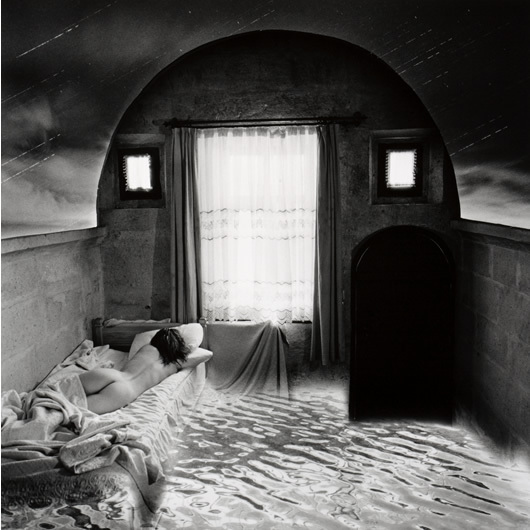 New Cosmos of Photography has award exhibitions and offers lectures. This did not happen before these awards were established. Does this communication space apply to the photobook as well? And are the photobooks only of interest for the photography scene insiders, like in Germany, where you will find photo books only in specialized book stores? 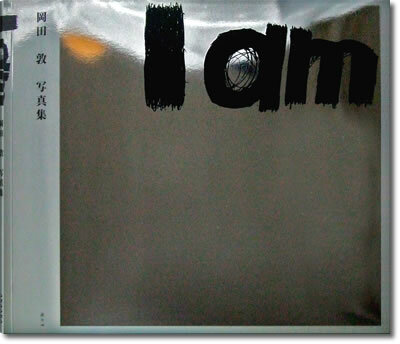 Generally speaking, photobooks as artist’s books are not available in many bookstores, other than a few popular ones like Umeme by Kayo Ume. 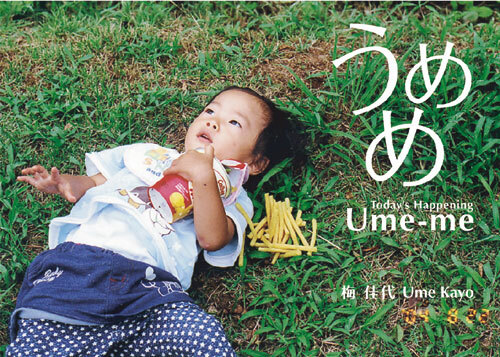 Could you please explain about Kayo Ume’s book Umeme? The book by Kayo Ume describes witty or slightly perfidious moments that you come across by chance in ordinary life. Over 100.000 copies have been sold. To understand why Kayo Ume’s book is so amazingly popular, we have to be aware of the amateur photo culture in Japan. We have such a huge number of older and younger amateur photographers. Ume’s humorous and slightly ironic work embodies the most popular aspect of Japan’s photo culture in her visual style and her motifs. For the audience, Umeme is not seen as art, but rather as something to share and to enjoy. There’s a certain amateurish aspect to Japanese photo culture. We have talked about how young photographers became attracted to the medium. How important is in this context the role of art academies and photo colleges? There are no specific schools or colleges which are recognized in Japan as offering an outstanding education. On the contrary, many photography schools and colleges have recently been facing a fall in student numbers. One reason is the drop in population due to the low birth rate. But in fact, there are more and more young people who are interested in photography. The recent technical developments and the popularity of the medium encourage increasing numbers of young people to work with photography more freely than ever. Some who want to become photographers do not deem it necessary to attend a photography college or a university. Others cannot find an appropriate school which meets their demands. Often the schools focus too much on teaching the technical side of photography and do not pay much attention to the intellectual and cultural potential of the photographic medium. In my opinion, it is important for the future of Japanese photography that photography education will be reformed. This is the reason why I am currently spending six months as a research fellow in New York. I am researching photography education in the USA with a view to developing a new approach to teaching photography in Japan; an approach which includes the appreciative aspect in photography education: how to look at and discuss photographs on different levels. The Japanese are said to be not very good at debate in general, but I think we should make more efforts to develop dialogue and discussion around photography at the photography colleges and universities in Japan. I’m sure it’s important for photographers, curators and everyone living in this visual society. Born in 1972, Tokyo, Mariko Takeuchi has curated exhibitions including “Charles Fréger: Rikishi (Art Gallery of Yokohama Museum; A.R.T. Tokyo, 2005). She has written numerous texts for catalogues and photography books including “Ryudai Takano: 1936-1996” (Sokyu-sha, 2006) and “Ryuichiro Suzuki: Odyssey” (Heibonsha, 2007). She is a regular contributor and photography critic for various magazines such as Asahi Camera and Studio Voice. She is also in charge of the Japanese photography section and writing for “The Oxford Companion to Photograph” (Oxford Univ. Press, 2005). She is an Associate Professor at the Kyoto University of Art and Design.